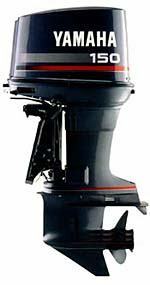 Below you will find a listing of all used outboard motors we are currently offering for sale, their individual specifications, overall condition and pricing. If you don't see the particular model or horsepower you're looking for, please feel free to call or e-mail us with your needs... Our selection changes constantly and if we have one that's not quite ready to go yet it may not listed at this time. We also keep track of engines our competitors have on hand and will be happy to help find the model you want, however we can! Note: All rebuilt engines receive new pistons, bearings, rings, seals, gaskets and thermostats. Lower units are disassembled, inspected, cleaned, then re-assembled with new seals and water pumps. All are pressure tested to factory specifications as well. Prices listed above do not include installation, controls or props unless specifically listed in engine description. We will be happy to quote you prices on these accessories if you require them, just ask! Warranty coverage on rebuilt engines is as follows: six months on the power head and its internal components, 30 days on the rest of the engine. Terms:Accepted forms of payment are Credit Card, Cashier's Check, Money Order or wire transfer. Item will ship when paid in full. Any and all returns, refunds, or order cancellations shall be in the form of store credit only unless otherwise specified in writing first by RPI Marine Inc. and will be subject to a 20% restocking charge. Any deposits made toward the purchase of any engine is considered non-refundable unless otherwise specified in writing by RPI Marine Inc. on customers original invoice. Back to our front door. © Copyright 2008 RPI Marine Inc.. All rights reserved.